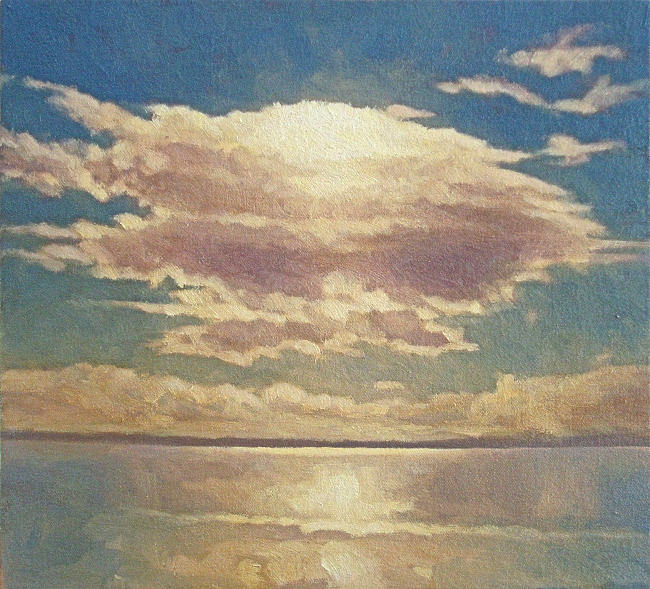 In real life this cloud looked so much like a cartoonist’s “Thought” symbol that I had the title for this painting in my head within the first few minutes of working on it. A fairly static cloud on a still afternoon, it slowly circulated within itself. It grew eventually, evolving into new shapes as I worked.